Section 5: Energy Decisions are Influenced by Economic, Political, Environmental, and Social Factors. 5.1 Decisions concerning the use of energy resources are made at many levels. Humans make individual, community, national, and international energy decisions. Each of these levels of decision making has some common and some unique aspects. Decisions made beyond the individual level often involve a formally established process of decision-making. 5.2 Energy infrastructure has inertia. The decisions that governments, corporations, and individuals made in the past have created today’s energy infrastructure. The large amount of money, time, and technology invested in these systems makes changing the infrastructure difficult, but not impossible. The decisions of one generation both provide and limit the range of possibilities open to future generations. 5.3 Energy decisions can be made using a systems-based approach. As individuals and societies make energy decisions, they can consider the costs and benefits of each decision. Some costs and benefits are more obvious than others. Identifying all costs and benefits requires a careful and informed systems-based approach to decision making. 5.4 Energy decisions are influenced by economic factors. 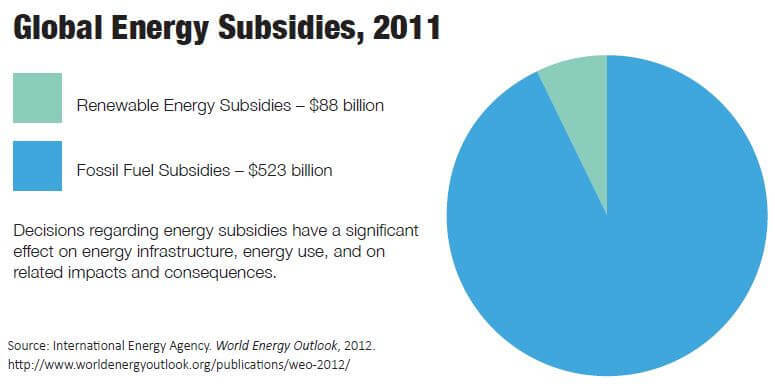 Monetary costs of energy affect energy decision making at all levels. Energy exhibits characteristics of both a commodity and a differential product. Energy costs are often subject to market fluctuations, and energy choices made by individuals and societies affect these fluctuations. Cost differences also arise as a result of differences between energy sources and as a result of tax-based incentives and rebates. 5.5 Energy decisions are influenced by political factors. Political factors play a role in energy decision making at all levels. These factors include, but are not limited to, governmental structure and power balances, actions taken by politicians, and partisan-based or self-serving actions taken by individuals and groups. 5.6 Energy decisions are influenced by environmental factors. Environmental costs of energy decisions affect energy decision making at all levels. All energy decisions have environmental consequences. These consequences can be positive or negative. 5.7 Energy decisions are influenced by social factors. Questions of ethics, morality, and social norms affect energy decision making at all levels. Social factors often involve economic, political, and environmental factors.